Allison Vela will major in the Biomedical Engineering at the University of California at San Diego. Allison has been an exemplary student throughout her high school career. During her junior year, she was inducted into the National Honor Society, the Science Honor Society and the Italian Honor Society. Allison’s year culminated in her being chosen to present at the prestigious SOARS convention, receiving the Science Star Project award. Outside of the classroom, Allison has been a State ranked Varsity Girls swimmer for four years while advocating for those in need in our community. A Cancer research supporter, Allison is a member of the Zero Waste club, the Italian club and assisted with building “The Garden of Dreams” to memorialize NFA staff members who succumbed to cancer. 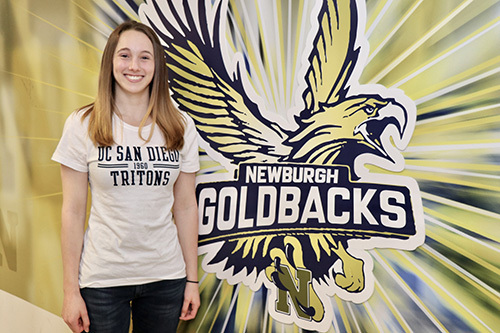 An outstanding scholar athlete, Allison is a catalyst for change among her peers. Allison Vela is truly one in a million. 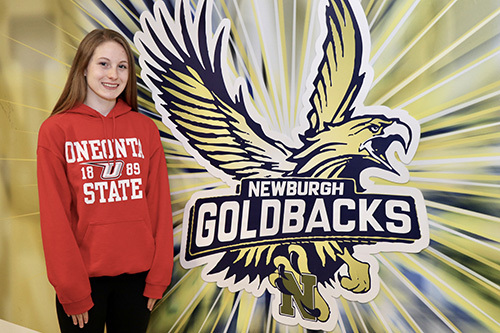 Brielle Maxwell will be attending SUNY Oneonta this fall to study chemistry. During her four years at NFA she has challenged herself with the most rigorous courses available to her. Simultaneously she was the captain of the Varsity Cheerleading squad, choreographing many of their routines. Brielle has been recognized with the Outstanding Achievement Award for AP World History, Chemistry, AP U.S. History and Spanish. As a junior Brielle was awarded the Rensselaer Polytechnic Institute Medal for her superior accomplishments in Math and Science. Brielle is a Member of the National Honor, NY State Science Honor and the Spanish Honor Societies. Ms. Maxwell generously gives her time to tutor her peers and elementary school age children. Brielle has volunteered the past four years with Families for Families at St. Patrick’s Soup Kitchen and she has participated in fundraising events for Breast Cancer research and the walks for Autism Speaks. Brielle is the ultimate scholar/athlete.